Soccer exercises and games for all age-groups. Soccer Technique Training (STT) offers every coach a large variety of exercises and games for all levels and age-groups. If the coach just looks for creative ideas for his training or wants complete training sessions – Soccer Technique Training provides him with both. All exercises and games are developed and approved in practical trainings by Klaus Pabst (Professional German Youth Soccer Coach, Diplom-Sportlehrer German Sports University, DFB-A-License-Coach), who trains players of each level and age-group every day for more than 20 years. 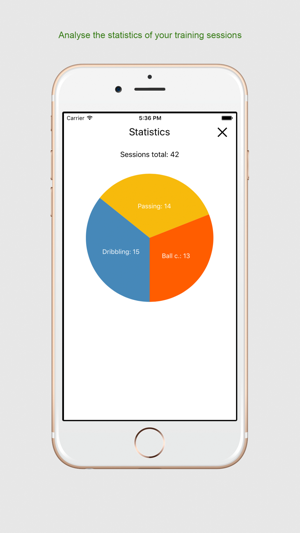 With just one touch the App creates entire training sessions for a chosen technical main aspect with warming-up, main part and final game. Imagine a soccer player is like a mosaic. Every single touch to the ball is one litte piece of this mosaic. The more touches to a ball a player has, the more splendid and high-grade the mosaic and so the player will be. Therefore all exercises and games guarantee numerous touches to the ball. Every exercise and game is video-animated, furthermore described with simple words and therefore easy to understand. 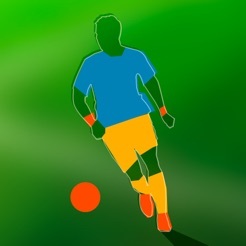 For the soccer techniques dribbling, passing and ball control the App offers ball practice exercises, shooting exercises and mini-games. Important theoretical information the coach can find in 'Knowledge', so that the training can be more effective and the players get the right corrections. Many thanks to Lilia for the great design! Finally Soccer Technique Training is available in English.